Great-grandmother Annie Regan with her geese, 1920. If you have not yet checked out Eileen Munnelly’s genealogy website Irish Lives Remembered, you really should. And I am not just saying this because I wrote an article for the August 2012 issue of the Irish Lives Remembered Genealogy Magazine! Irish Lives Remembered is a FREE to join Genealogy Community to help you locate your Irish ancestors. Based in Dundalk, County Louth, Ireland, our business is dedicated to preserving the memory of deceased people of Irish heritage globally by providing a social media based Genealogy website and digital magazine. The site hosts groups and discussion forums for each of the thirty-two Irish counties and additional special interest groups created by members. For example, I joined the groups for each of the counties from which my ancestors originated, as well as a few specialized groups (Irish in Philadelphia, Irish in the NYPD, Irish in New York). I even started my own Irish in America group. But there is much more to Irish Lives Remembered than discussion forums. What sets Irish Lives Remembered apart from other Irish genealogy sites is the great attention to detail throughout the site, which results in a truly comprehensive approach to Irish genealogy. The monthly genealogy e-magazine I mentioned earlier contains useful and entertaining information on a diverse selection of Irish genealogy topics. The August issue alone features articles on Irish convicts in Australia, Huguenots in Ireland, and Irish Jewish heritage, in addition to spotlights on Mayo and Antrim. The Irish Lives Remembered site also features a section devoted to memorials – biographies on influential Irish individuals in history. The memorials include famous writers, activists, musicians, explorers, politicians, and more. Corresponding memorials appear on the group page for their county of origin. Eileen has included a list of upcoming anniversaries and birthday remembrances, which further connects us to Ireland’s history on a very personal level. 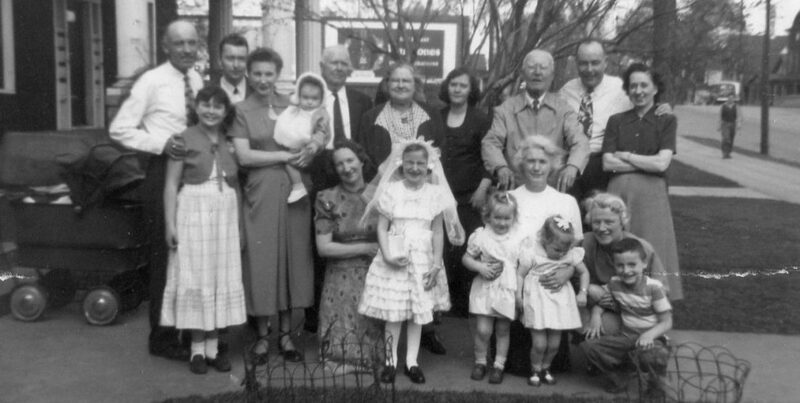 Genealogy is about more than filling in the blanks on your family tree with names, dates, and places. It is about remembering our ancestors as individuals, and when we remember them, we honor them. Eileen and Irish Lives Remembered makes doing both a little bit easier and much more enjoyable. 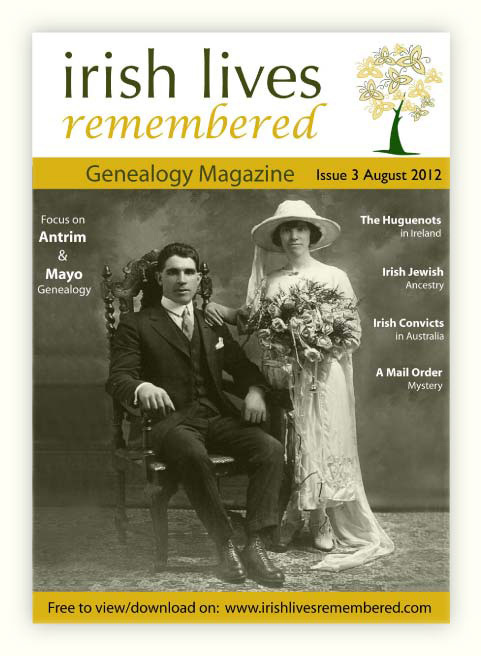 Check out the latest issue of Irish Lives Remembered Genealogy Magazine here. You can also view and download past issues here. Categories: Genealogy, Memories | Tags: Annie HIll, Eileen Munnelly, Irish Lives Remembered, Irish roots, research | Permalink. Thanks for the resource, Aine. Looks interesting and valuable. I heartily agree with your closing statement. What we are trying to achieve is much more than just filling in the blanks. It’s a labor of love, and hopefully an heirloom in its own right that will be treasured when we pass it along. Thanks, Jacqi! The Irish Lives Remembered website and magazine are really great resources. Have a great weekend!